ACME SCHOOL OF DRIVING is dedicated to providing the most effective, entertaining and informative traffic safety classes possible. We have knowledgeable licensed instructors who are trained to deal with issues of the new driver. Our classes are designed to be interactive allowing all students to participate in the learning process. All of our vehicles are equipped with dual control pedals and are fully insured and bonded. From beginners to brush-up lessons our instructors goal is to personalize instruction for all types of individuals making learning interesting and fun with their professionalism. 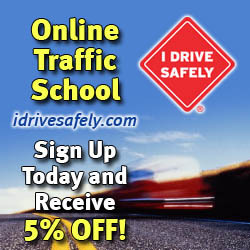 If you have to improve your driving skills you’ve come to the right place. We’ll assess your needs. Our certified instructors will help you meet your goals and give you the support and tips you need to become the best driver you can be. Take a look at our full list of rates for teens and adults. We are committed to offering the best most effective, driver training course you will ever experience. All our instructors have more than twenty years of experience combined!